Since no one can predict the exact moment in time when someone will be ready to buy what you sell, you need to maintain CONSISTENT contact with EVERYONE in your marketing databases. That being said, a drip marketing system will be a great short- AND long-term strategy. Plus, it will go a long way to building trust, credibility, and brand recognition for you in the marketplace. Why Is Drip Marketing Critical Sales Strategy? 50% of all salespeople stop calling a prospect after their first unsuccessful attempt at moving the sales process forward - a number that skyrockets to 95% to 98% after a salesperson's third unsuccessful attempt. It takes anywhere from 7 to 21 personal touches before someone makes a buying/referral decision. 80% of what you tell a prospective buyer or client in a face-to-face meeting is forgotten within 24- to 48 hours; over the phone, it takes less than 60-minutes for someone to forget 80% of what they were told. People make buying decision when they are ready; not when you or your salespeople want them to. Types Of Drip Marketing Tactics/Campaigns. e-Mail Marketing Campaigns (e.g., sales intro letter, product or service spotlights, newsletters, press releases, sales promotions, etc.). Direct mail campaigns (e.g. postcards, letters, and lumpy mail campaigns). Prospect drop-off kits (e.g., sales literature, samples, etc.). Day 1: e-Mail a press release on an upgraded feature, new hire, security upgrade, or service/product promotion. Day 3: e-Mail an educational newsletter. Day 4: A follow-up call is made to gauge interest/set appointment (use a 2/4 call strategy). Day 10: e-Mail an introductory letter. Day 10: Mail postcard with a special offer. Day 28: e-Mail a product or service spotlight campaign. Day 42: e-Mail a newsletter. Day 49: e-Mail a product or service spotlight campaign. Day 63: A follow-up call is made to gauge interest/set appointment. A continuous cycle of well-written marketing messages will go a long way in building trust, credibility, and brand recognition in the marketplace. It is a great way to position yourself/your business as a thought leader in the industry. "Situations" change all the time; from your competition falling short with their customer service efforts, product or service performance or taking their business for granted to price increases. New decision-makers enter into the buying cycle. It requires a disciplined person to engage a long-term drip marketing strategy. Your content needs to be written by a skilled copywriter (so your messages resonate with a reader). It requires a salesperson (or you) to formally follow-up a campaign with an "oh by the way" call. Your marketing databases need to be constantly updated to maximize open rates and reduce postage costs when a direct mail campaign is released; however, the ROI is substantial should these steps be taken correctly. A significant percentage of your competitors, even your largest ones, do not have a drip marketing system installed at their business; a mistake that represents a huge sales and marketing opportunity for YOU and YOUR business. Best of all, you don't need to spend a fortune to install one for your business. Executive Summary: Sending a consistent series of marketing campaigns will show a client, past client, prospect, and referral partner that you/your business still has an interest in them even when you and your salespeople no longer do. Strive for improvements to sales processes and procedures. Search for solutions to a customer’s problem. In your search for building an engaged sales team, it is in your best interest to recruit employees who will have the best chance of being engaged. The Average Hiring Process In America Takes Approximately 23 Days. The final group (of candidates) is interviewed and job skills are assessed. The final candidate is presented an offer. Depending on the size of your company, and the position requirements, a second and/or third interview is done before a final candidate is chosen. The process takes, on average, 23 days; however, the actual time with a potential new salesperson is typically just a few short hours. Answer This: How Can A Hiring Manager Determine A Candidate’s Engagement Level? Ask About Their Interests Outside Of Work – Does your candidate have outside interests in their life? All experts agree that one’s passion in outside interests will carry over into their professional career. Ask Why Questions – Ask “why” questions instead of “how” and “what.” Remember, it is more important to know why they did something versus how something was done. Make Sure Other Staff Members Interview Your Final Candidates – Always include members of staff, or other managers, to be part of the interview process. Observe Someone’s Body Language During The Interview Process – Ask yourself this: Does the candidate get excited when they describe a problem they solved? Do they project confidence? Do you hear the excitement in their voice? If the candidate does not give you confidence in their critical thinking skills, you may not want them on your team. Use Assessment Tools/Resources – I recommend using third-party behavioral analysis assessment tools to help determine if someone will fit into your culture. And by comparing results of a candidate to your current staff, you can conclude whether or not they would be a possible fit for your business. Executive Summary: Make sure you use effective strategies and tactics to hire someone who will have a greater chance of being an engaged salesperson. As I advise all of our clients, your businesses cannot afford to hire the wrong salesperson – especially when the average turnover is 50% to 60% in their first year of employment. Do you want to jump-start your sales? If you do, I have listed below a number of tips for all owners, sales leaders, and sales pro to read. #1: Build A Massive e-Mail Database - If you want to see an immediate increase in sales, work on building a massive e-mail database of clients, prospects, and referral partners. If you don’t have enough e-mail addresses, you should consider our e-mail address acquisition service. Say "thank you" to your clients for being a customer. Ask your clients to proactively recommend your business to someone they know. Survey your database of clients to determine how well you are performing (see point #5 below). #3: Sell On Value - Some companies do well as "the cheapest option available." However, for businesses delivering a high-quality service, this is not an attractive selling point. Therefore, your salespeople need to know what sets your business apart from its competition. #4: Employ A Drip Marketing Strategy - To market your business on a cost-effective basis, I recommend sending a series of bite-size marketing campaigns over a consistent time period versus taking the fire hose approach of information. Remember, segmented marketing campaigns (by target audience) are the way to go. Hi _______this is ______ from ______________. I’m just quickly following up on an e-mail we sent to you about our free HR assessment offer. If you would like to find out how our HR assessment can reduce your exposure to an employee lawsuit, call me at (800) 555-1212, again, (800) 555-1212. Hi _______this is ______ from ______________. I’m just quickly following up on an e-mail we sent you about our free ________ demo. If you would like to find out how we can increase/reduce your ______ sales/costs by 33% next week, call me at (800) 555-1212, again, (800) 555-1212. 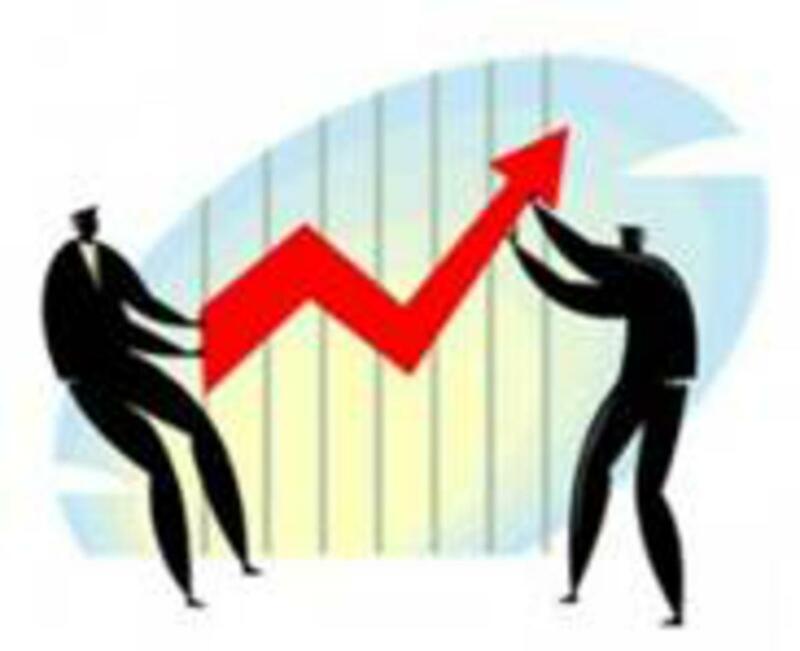 How well your business is performing. Generate more referral (we show our clients this all the time). New product/services a client may need. Executive Summary: Bringing on new clients is the lifeblood of most businesses. If you want to increase your sales, you need to take change what you are doing – and the fastest way to make that change happen is to make a plan and then TAKE ACTION. Look at your database of prospects/past clients and tell me the ones who will buy from you in the next 90 days. In all reality, you and/or your salespeople will be off by 90% (YES, 90%) or more. You know why? People buy when they are ready and not when you or your salespeople want them to. Here’s Why You Need A Lead Nurturing System. Builds trust, credibility, and brand recognition in your business. Maintains consistent contact with a prospective buyer as they travel the sales cycle. Help find sales opportunities in your database of prospects, clients, and referral partners. Encourages referrals from your database of clients & referral partners. Shows someone the value you bring to the marketplace. Creates an EXCELLENT reason to follow-up with someone. Fact: 50% of all salespeople stop contacting a prospective buyer and/or referral partner after their first unsuccessful attempt at moving the sales process forward. A number that skyrockets to 95+% after their third unsuccessful attempt. A lead nurturing process (drip marketing system) is designed to solve this issue. It’s Your Job To Stay In Contact With Someone. People buy from people/businesses they like, know and trust. And the first time someone hears about your business, there's a good chance they won't understand why they should buy from you. So if you are letting your salespeople people your “drip marketing” system, it is a mistake that’s costing you a small fortune. Executive Summary: A well-articulated drip marketing system will show your database of prospects, referral partners, and clients the value you bring to the marketplace. More importantly, it stays in consistent contact even when you and your salespeople give up. So tell me, what’s stopping you from installing a lead-nurturing system at your business? Are you thinking of creating a company newsletter or do you already have one? No matter what your situation is, you should put a little bit of a strategy behind your newsletters. This is especially important since people spend 20% of their day looking at their inbox. #1: Define Your Newsletter’s Goal or Purpose? * To educate someone on a particular subject? * To showcase a client? * To promote a new product/service? * To announce a new salesperson or system upgrade? * To stay top-of-mind with your prospects? #2: Make Sure Your Content Needs To Resonate With Your Target Audience. Sure, you can blast a generic one-size-fits-all newsletter but if your main purpose of sending one out is to say “BUY FROM ME!,” your open- and click-through rates will be below average at best. Conversely, you are much better off saying, “Read this valuable information as it can help solve a business problem for you.” Sending relevant content will be your key to success. #3: Always Grow And Update Your Databases. One of the best things you can do is grow/update your marketing databases. If not, your open rates will flatten out over time. Nothing could be more boring than a white background and a wall of black text (I see it all the time). If you want to attract a reader, break up the copy with sub-headlines, bullet points, and brief paragraphs. Additionally, people read top to bottom and left to right. To help the flow of a newsletter, it’s in your best interest to add pictures, videos, and colors to engage a reader. #5: Add A Low-Risk Offer To Help Someone Learn More. * Direct a reader to a specific page on your site? If it is, highlight a hyperlink to that page. * Want to promote a special whitepaper or company overview? If it is, highlight a hyperlink to download that guide (or a landing page on your website). * Want to get a client or a referral source to refer you or your business? If it is, add a one-click button that directs someone to a “refer us to a friend” page on your website. 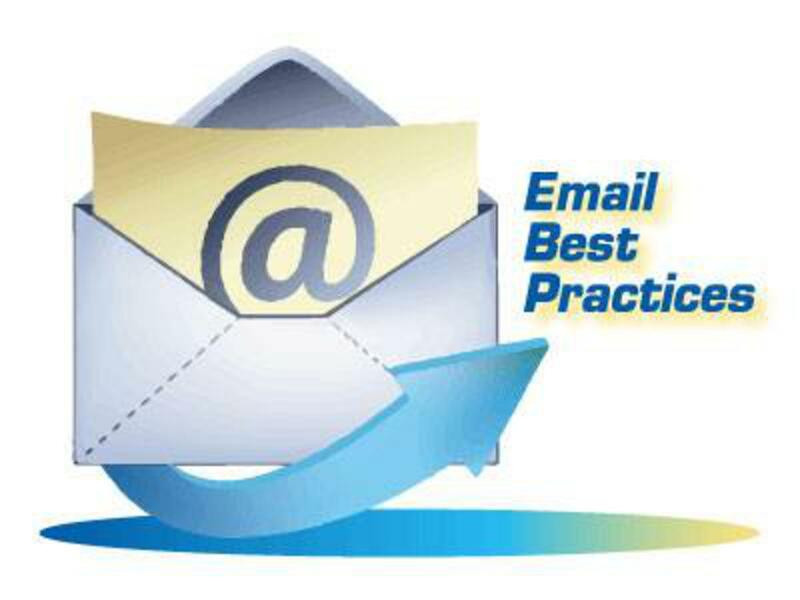 Executive Summary: In your e-newsletters, as with all other e-mail marketing campaigns, keep your message on track. If you are yelling “BUY, BUY, BUY” or “LOOK AT THIS OFFER” you will disengage readers faster than you will engage them.